A yummy tool for math and counting concepts. Fruit Counters in 6 shapes and 6 colors. Use for learning colors, classifying sorting, addition and subtraction. 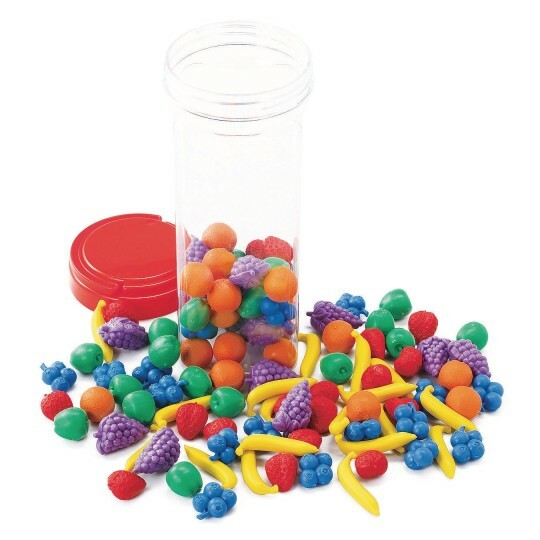 Total of 108 pieces in a convenient storage jar.